An international research group applied methods of theoretical physics to investigate the electromagnetic response of the Great Pyramid to radio waves. Scientists predicted that under resonance conditions the pyramid can concentrate electromagnetic energy in its internal chambers and under the base. The research group plans to use these theoretical results to design nanoparticles capable of reproducing similar effects in the optical range. Such nanoparticles may be used, for example, to develop sensors and highly efficient solar cells. While Egyptian pyramids are surrounded by many myths and legends, we have little scientifically reliable information about their physical properties. As it turns out, sometimes this information proves to be more fascinating than any fiction. This idea found confirmation in a new joint study undertaken by scientists from ITMO University and the Laser Zentrum Hannover. The physicists took an interest in how the Great Pyramid would interact with electromagnetic waves of a proportional, or resonant, length. Calculations showed that in the resonant state the pyramid can concentrate electromagnetic energy in its internal chambers as well as under its base, where the third unfinished chamber is located. These conclusions were derived on the basis of numerical modeling and analytical methods of physics. The researchers first estimated that resonances in the pyramid can be induced by radio waves with a length ranging from 200 to 600 meters. Then they made a model of the electromagnetic response of the pyramid and calculated the extinction cross section. This value helps to estimate which part of the incident wave energy can be scattered or absorbed by the pyramid under resonant conditions. Finally, for the same conditions, the scientists obtained the electromagnetic fields distribution inside the pyramid. In order to explain the results, the scientists conducted a multipole analysis. This method is widely used in physics to study the interaction between a complex object and electromagnetic field. The object scattering the field is replaced by a set of simpler sources of radiation: multipoles. The collection of multipoles radiation coincides with the field scattering by an entire object. Therefore, by knowing the type of each multipole, it is possible to predict and explain the distribution and configuration of the scattered fields in the whole system. The Great Pyramid attracted the researchers’ attention while they were studying the interaction between light and dielectric nanoparticles. The scattering of light by nanoparticles depends on their size, shape, and refractive index of the source material. By varying these parameters, it is possible to determine the resonance scattering regimes and use them to develop devices for controlling light at the nanoscale. “Egyptian pyramids have always attracted great attention. We as scientists were interested in them as well, and so we decided to look at the Great Pyramid as a particle resonantly dissipating radio waves. Due to the lack of information about the physical properties of the pyramid, we had to make some assumptions. For example, we assumed that there are no unknown cavities inside, and the building material has the properties of an ordinary limestone and is evenly distributed in and out of the pyramid. With these assumptions, we obtained interesting results that can have important practical applications,” says Andrey Evlyukhin, DSc, scientific supervisor and coordinator of the research. Now the scientists plan to use the results to reproduce similar effects at the nanoscale. 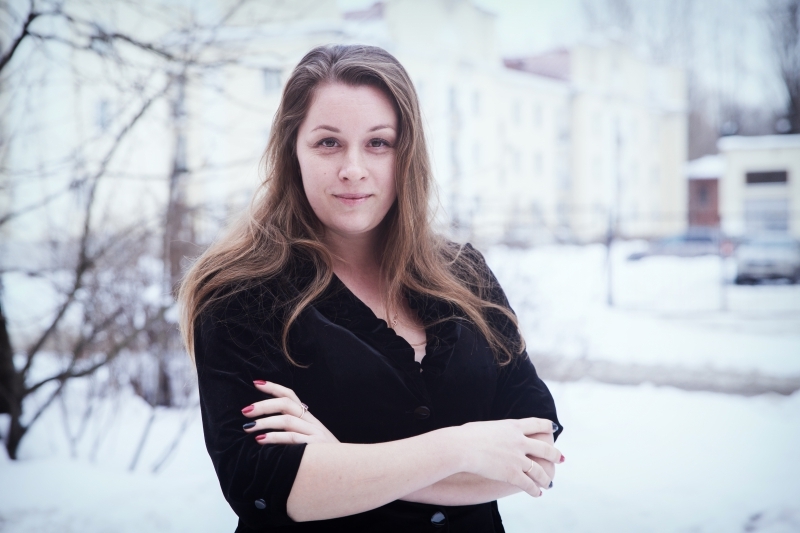 “By choosing a material with suitable electromagnetic properties, we can obtain pyramidal nanoparticles with a potential for practical application in nanosensors and effective solar cells,” says Polina Kapitanova, PhD, associate at the Faculty of Physics and Engineering of ITMO University. The research was supported by the Russian Science Foundation and the Deutsche Forschungsgemeinschaft (grants № 17-79-20379 and №16-12-10287). This paper is behind a paywall.. This entry was posted in light, nanotechnology and tagged ancient Egypt, Andrey B. Evlyukhin, Andrey Evlyukhin, cheops.SU, Deutsche Forschungsgemeinschaf, dielectric nanoparticles, Egyptian pyramids, electromagnetic energy, Electromagnetic properties of the Great Pyramid: First multipole resonances and energy concentration featured, electromagnetic response, Germany, Great Pyramid of Giza, ITMO University, Kseniia V. Baryshnikova, Laser Zentrum Hannover, Mikhail Balezin, multipole analysis, phsyics, Polina Kapitanova, radio waves, Russia, Russian Science Foundation, sensors, solar cells on March 4, 2019 by Maryse de la Giroday. The results were published in the July 20  issue of Physical Review Letters. This entry was posted in science and tagged A. Romito, Alessandro Romito, Brandie Jefferson, E. Lutz, Eric Lutz, fire, Germany, heat and work and energy, Information Gain and Loss for a Quantum Maxwell’s Demon, J. J. Alonso, J. J. Alonzo, James Clerk Maxwell, K. W. Murch, Kater Murch, Lancaster University, M. Naghiloo, Mahdi Naghiloo, Maxwell's demon, negative information, photons, quantum backaction, quantum mechanics, quantum particles, quantum physics, qunatum computing, superposition, thermodynamics, thought experiment, UK, University of Erlangen-Nuremberg, University of Stuttgart, US, Washington University in St. Louis (WUSTL), weak observation method on February 26, 2019 by Maryse de la Giroday.